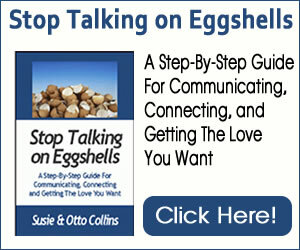 Want to spice up your love life and simply have more fun doing it? Try acting on some of the fantasies that the two of you might have. Now, not all fantasies have to be acted on. It might be just as much fun to talk about your fantasies but sometimes you might want to experiment with acting them out—if you both agree to it. They have great fun with this and her husband gets to make love with different women while staying completely faithful to her. Another woman combines role play and fantasy to keep her relationship hot. She likes to wear different colored wigs when they are intimate—red, black, blonde—because she likes to play different roles to keep her husband coming back for more. Another couple likes to play “dress up” and act out their favorite scenes from movies they both love. The woman enjoys her man to dress up like the “sheik” or the pirate Captain Jack and she’s the captured princess or aristocrat. He enjoys playing the football player and capturing the head cheerleader. Fantasy and role play can certainly heat things up if you are open to it—and can keep your love-making new and exciting no matter how many years you have been together. How do you begin if you have never done anything like this before? Start by playfully talking together about what might be fun for each other you. If you’re into “dressing up” and playing the part, and you both agree, surprise your partner by wearing something that you might not normally wear. It might be something as simple as a seductive hat, shirt, blouse, skirt or pants. Maybe you wear a bandana and an earring or maybe you wrap a large scarf around you. If you don’t enjoy “dressing up,” what other fantasies (that would be healthy for your relationship) would you like to try? Experiment and go slow if this is new to you. The main idea is to have fun doing it!